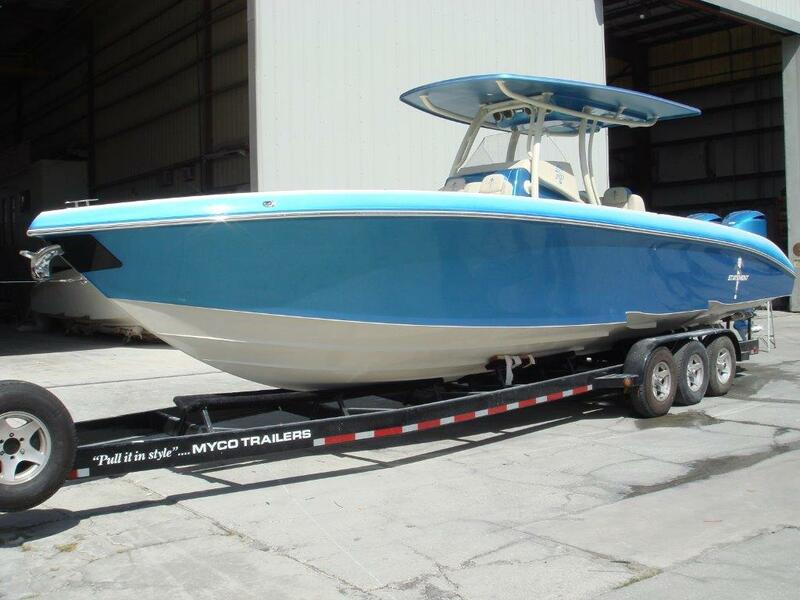 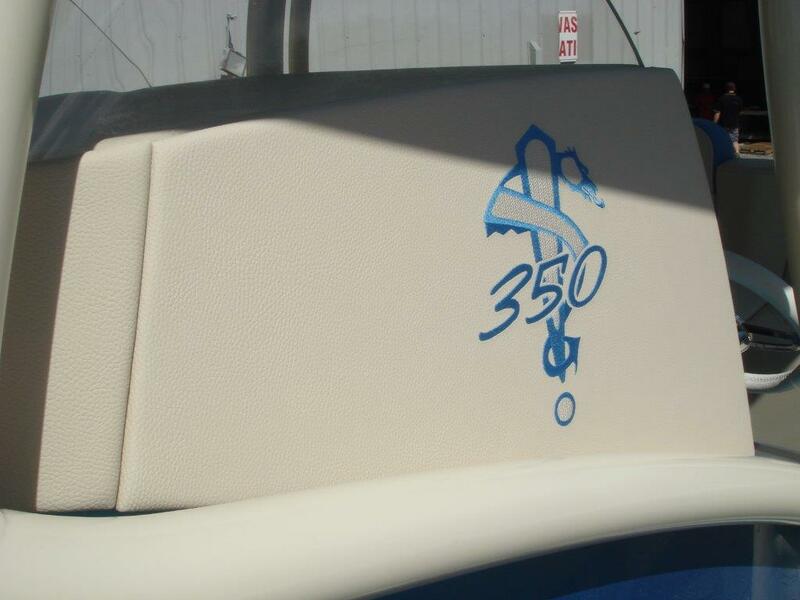 Very clean 2014 35 Statement Open powered by twin Yamaha 350 4 strokes with less than 50 original hours!! 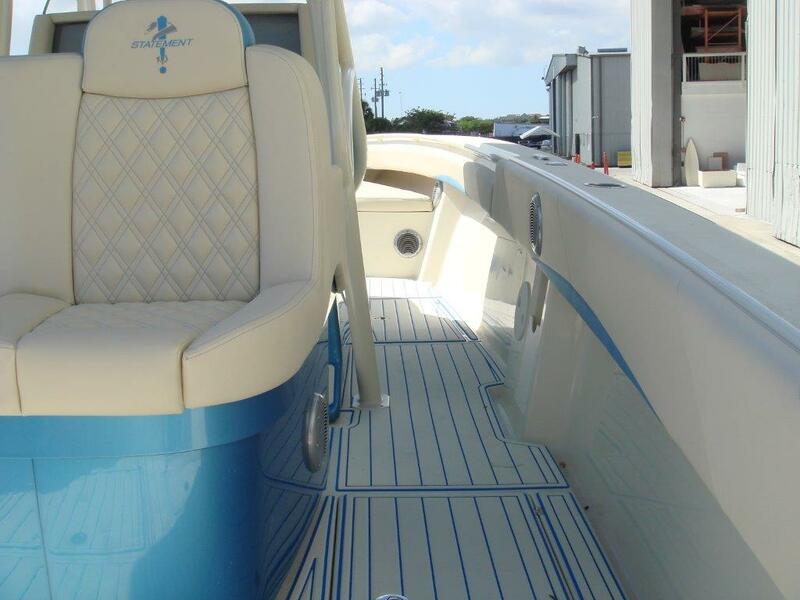 Forward bow seating with separate oversized enclosed head in console. 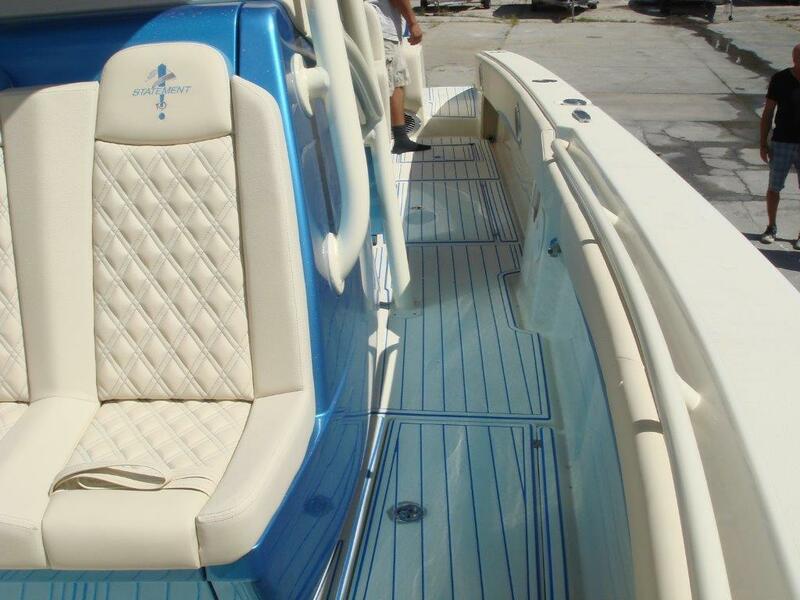 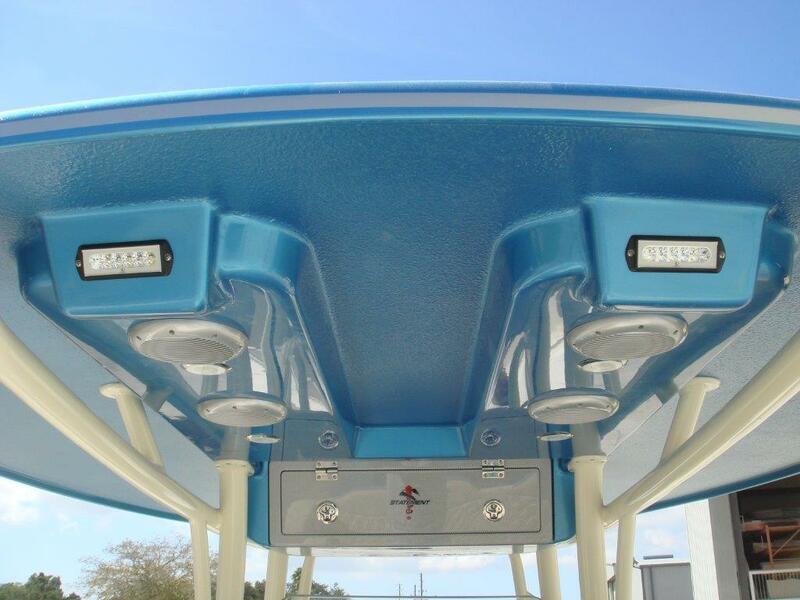 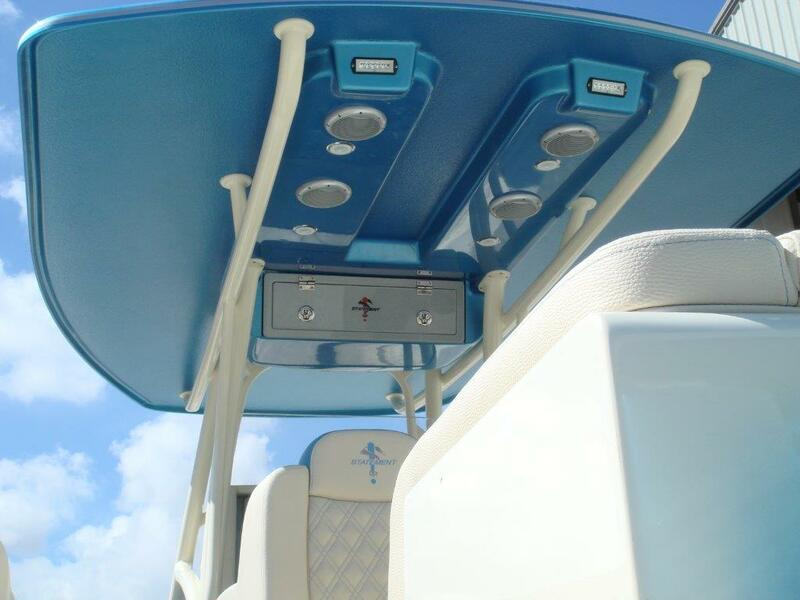 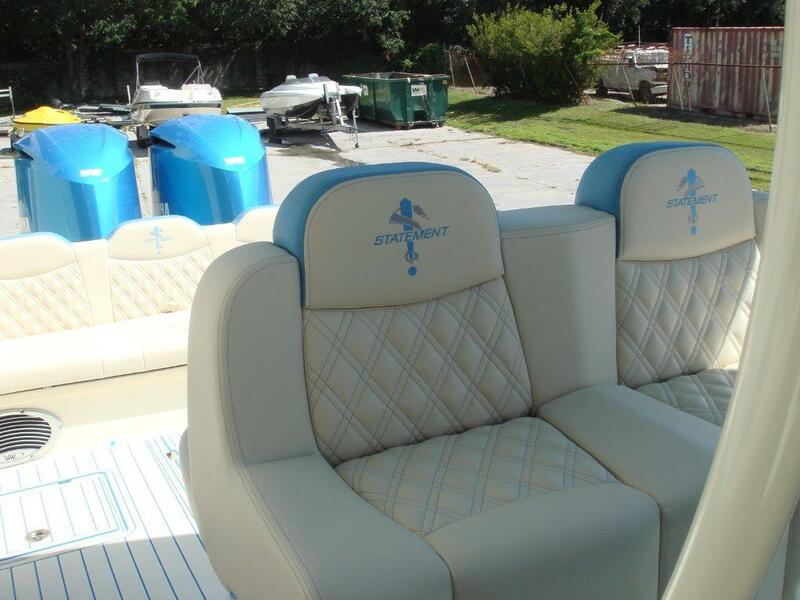 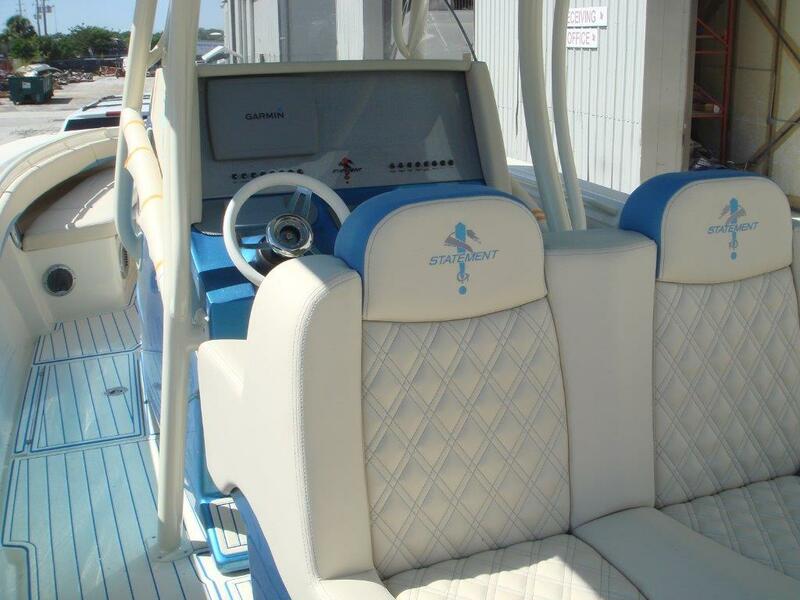 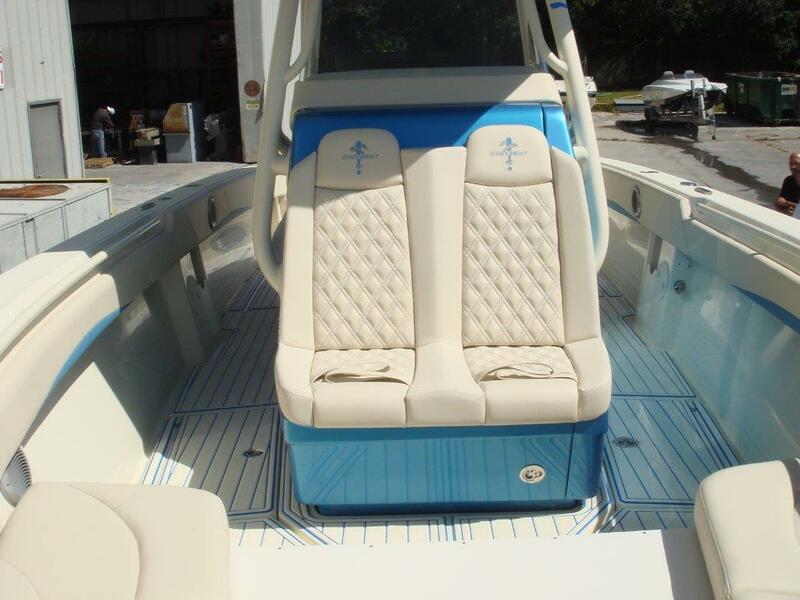 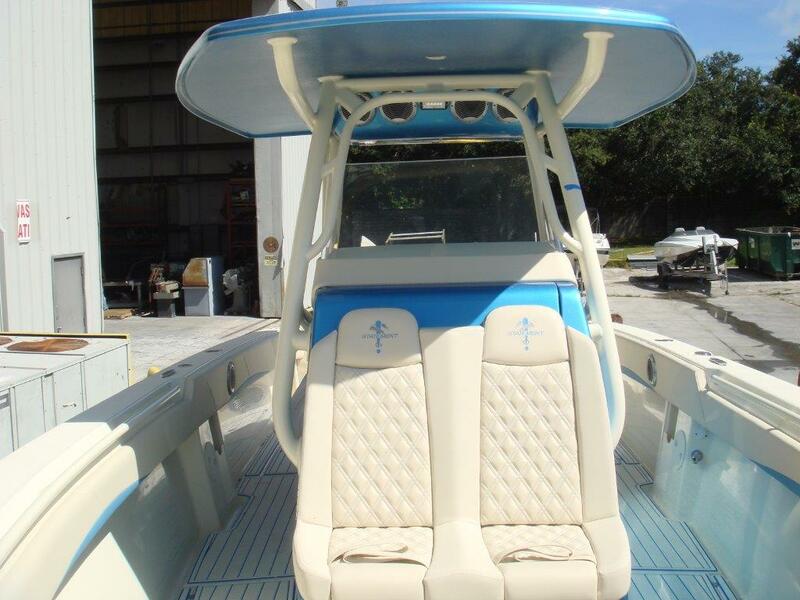 Painted Metallic blue hullsides with cream/beige Bentley stitched color matched interior and full Seadeck flooring. 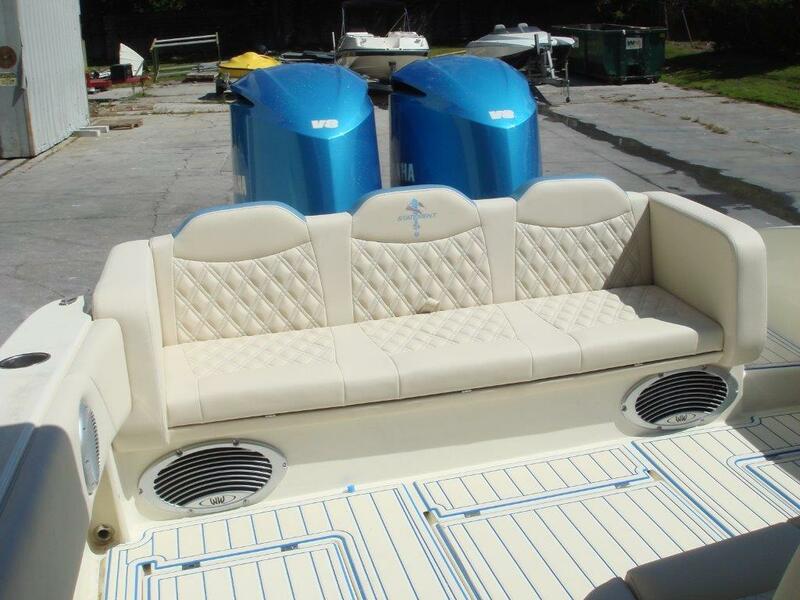 Upgraded stereo system with additional Subwoofers/ amps and speakers by Wetsounds. 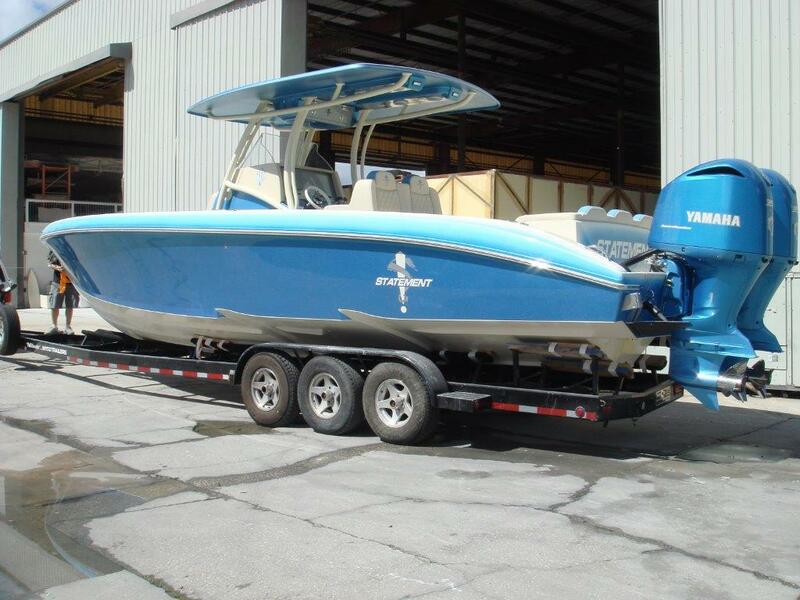 Very clean and ready for a new home.